Blueprints for Change, a network of campaigners building an open library of progressive advocacy how-tos, presents its first guide. Blueprints for Change is an open library of progressive advocacy “how-to’s” put together by campaign innovators around the world. Mobilisation Lab supports this project by inviting contributors and reviewers to improve draft documents and by sharing Blueprints for Change with its global network. There is a lot of talk and excitement around distributed organising in U.S. campaigning circles these days. After all, this approach enabled the impressive volunteer-powered mobilisation in support of the Bernie Sanders primary race and it is also the growth strategy of choice for groups fighting Trump’s agenda like Indivisible and Movimiento Cosecha. But the U.S. doesn’t hold the monopoly.Support. Don’t Punish, a campaign to fight for more humane drug policies run from London, uses distributed organizing to spark its days of action in over 200 cities across the world. 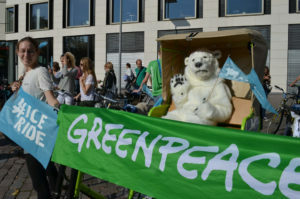 As an activist and advocacy campaigning strategy, distributed organising activates a network of self-starting supporters in multiple locations. It draws on the initiative and energy of supporters to start groups and lead teams. University of Texas at Austin Jolt student chapter member Daniela Rojas leads a rally in outside Sen. John Cornyn’s office asking for a clean Dream Act. At Jolt, the organisation where I work helping turn out the Latino vote in Texas, distributed organising has helped us scale quickly. From our tiny office in Austin, we’ve been able to tap into the energy of young Latinos across Texas. 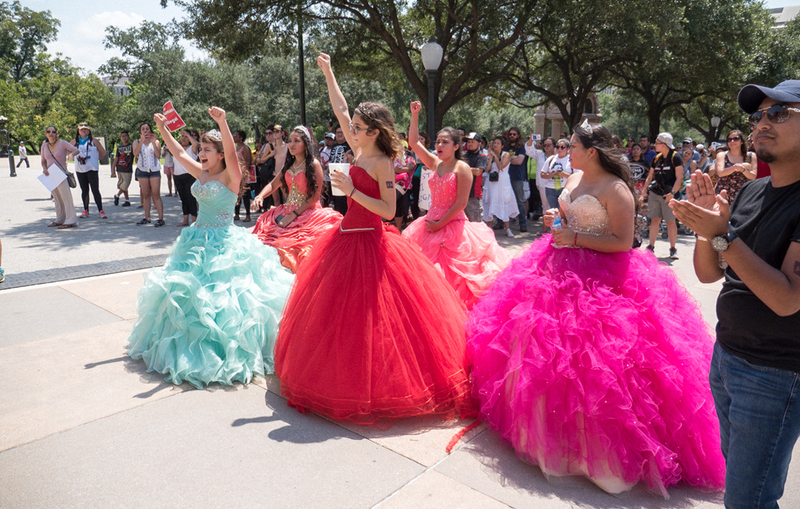 From Tyler to El Paso, Jolt leaders have established student chapters in high schools and colleges that are organising, mobilising, and registering Latinos to vote. The model has allowed us to deliver trainings and grow our network with a small staff and limited resources. Distributed organising is not for everyone. It requires a willingness to build the power of supporters and empower them to lead organising efforts. It also takes a commitment of time and energy to support this new network of leaders. Since it relies a lot on digital communications and open platforms like Slack and Google docs, it would also be a lot harder to pull off in places where digital access is restricted and government surveillance is a big concern. Even when the conditions are right, building a distributed system for the first time is tricky. 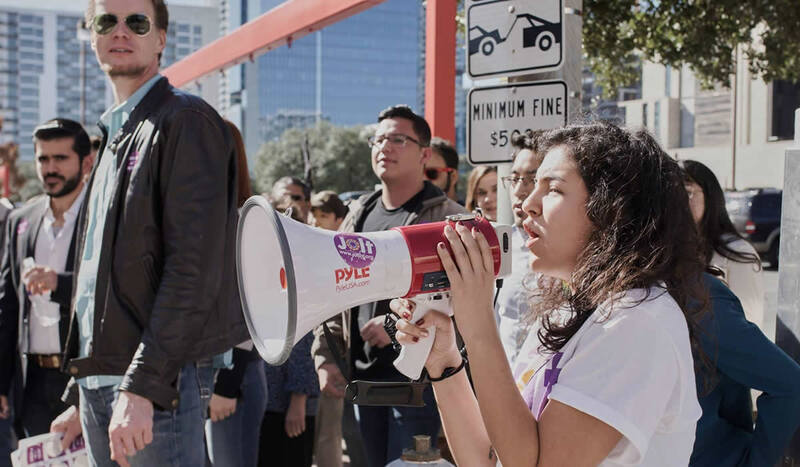 At Jolt, we were so excited about giving young Latinos the skills or mobilise our community to the polls, that we first started with just a call to action and toolkit for leaders, but we found that it wasn’t enough. Leaving our chapters on their own with just digital resources didn’t sustain or grow our work. That is why we have been working with the Blueprints for Change project, to learn from others and to add our experiences to the mix. The how-to guide created by Blueprints allowed our team to have a productive conversation around what distributed organising involved and how to orient our activities to support this. Since then, we’ve developed and put into action a distributed plan. And the results are showing. Central Texas Jolt student chapter members lead Jolt’s Unity March to demand dignity and justice for all immigrants. We have almost a dozen student chapters across Texas that are taking the tools and skills we’ve shared with them through our distributed organising model and are going into their communities to register Latinos to vote. 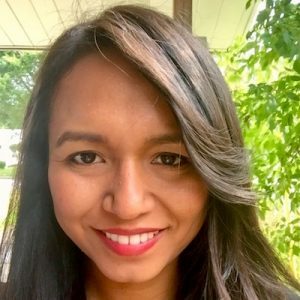 Emily Pinal is the founder and president of the Jolt student chapter at UT Tyler, “We started Jolt this semester, because we want to change our community and Latinos need more representation in Smith County.” Our new model is helping support young leaders like Emily across Texas and grow our chapter network. The how-to drafts created by Blueprints for Change are always evolving with input from organisers and campaigners but the current draft on Distributed Organizing compiles insights from a good number of campaigners and organisers who have rolled this out in real life. You can view the doc embedded below and also download and share it freely. If you have something you’d like to add, please write to us at blueprintsfc@gmail.com to get commenting access. Blueprint for Change: Distributed Organising is embedded below and available online here. 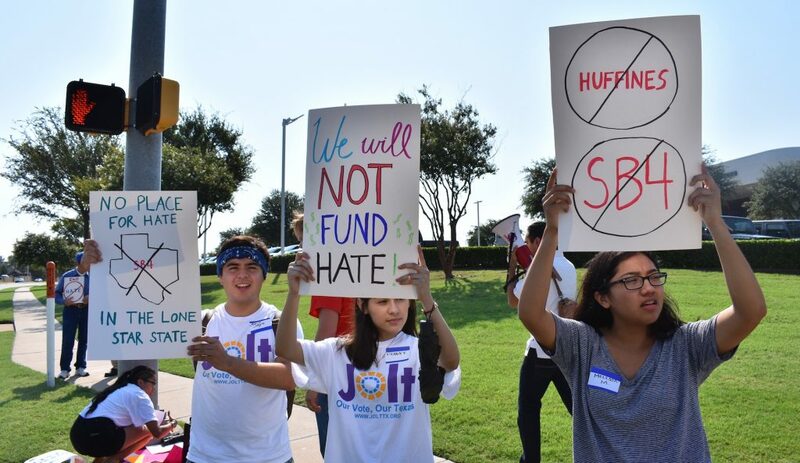 Top photo: North Texas Jolt student chapter members hold a rally calling for a boycott of Huffines Cars, a dealership owned by Texas Senator and SB4 co-author Don Huffines.